Parentheses have a place, just not on your face. 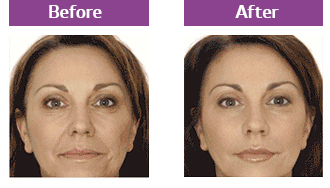 Cease the crease with the line-removing wonders of FDA-approved JUVÉDERM® Injectable Gel. JUVÉDERM® uses hyaluronic acid to fill facial hollows and deep lines and deliver a long-lasting lift. Reduce the crinkles and forget the furrows with age-defying, super-achieving JUVÉDERM® Injectable Gel. As we age our skin changes. 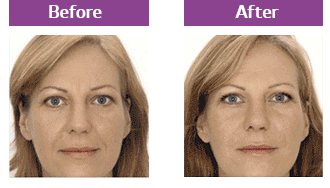 Over time, the natural volume of youthful skin begins to diminish and wrinkles and folds form. With JUVÉDERM® Injectable Gel, you don’t have to just sit back and let it happen! Approved by the FDA, JUVÉDERM® Injectable Gel is a “next-generation” dermal filler. The smooth consistency gel instantly restores your skin’s volume and smooths away facial wrinkles and folds, like your “smile lines” or “parentheses” (nasolabial folds—the creases that run from the bottom of your nose to the corners of your mouth).